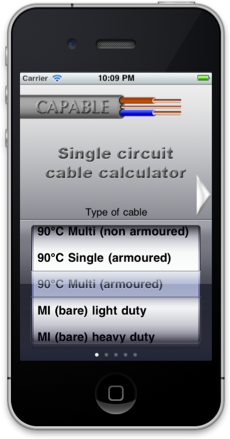 Capable is an iPhone app that allows the quick and easy calculation of electrical cable sizing in accordance with BS7671 Wiring Regulations. It incorporates all relevant calculations and correction factors for grouping, ambient temperature and fixing methods. Capable calculates (R1+R2), volt drop, Zs and gives the maximum Zs values for most common fuses and circuit breakers. Bac4mac is a simple piece of software that allows you to back up files and folders from your Mac hard drive to another place (usually on an external drive). 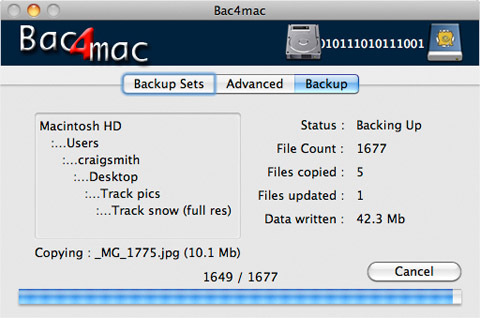 When Bac4mac carries out a backup, it does not create any strange 'image' files, it simply copies new and updates existing files in the destination folder, which can be read by any other Apple Mac computer. 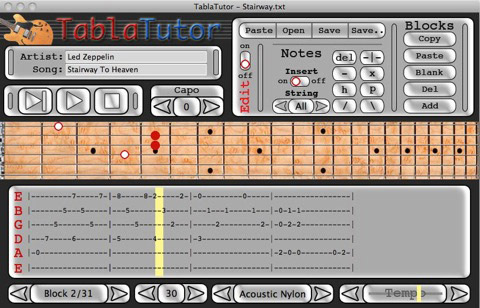 TablaTutor is a piece of software available for Mac OS X and Windows. It allows you to paste guitar tabs, copied from the internet, directly into the software and then play them back audibly. You are also graphically shown where the notes are being played on the guitar neck. You can also edit tabs and create your own. Learn the art of the guitar with TablaTutor.